Finally! It has taken me longer than I like to get the pattern written up and into a pdf. I rather knit that type. 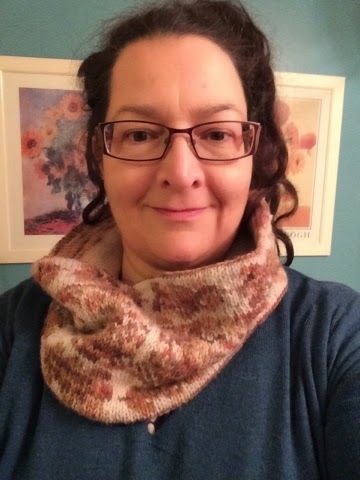 The test is on ravelry, here: Moonlit Oak Cowl pattern testing if you are interested in joining in or following along. I am happy to say there is a discount for Morning Bright Yarn given to the pattern testers. 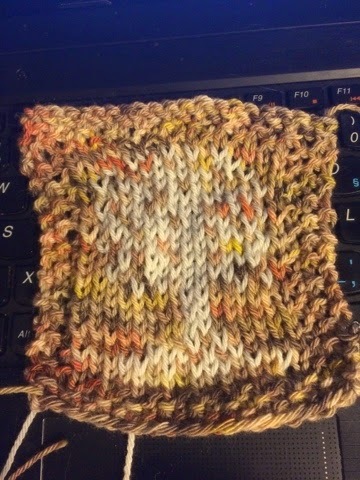 There is an age old 'rule' that you can't use variegated yarn for fair isle knitting. The design doesn't really show up well unless the yarn colours are strongly contrasting. I am here to break the rule. 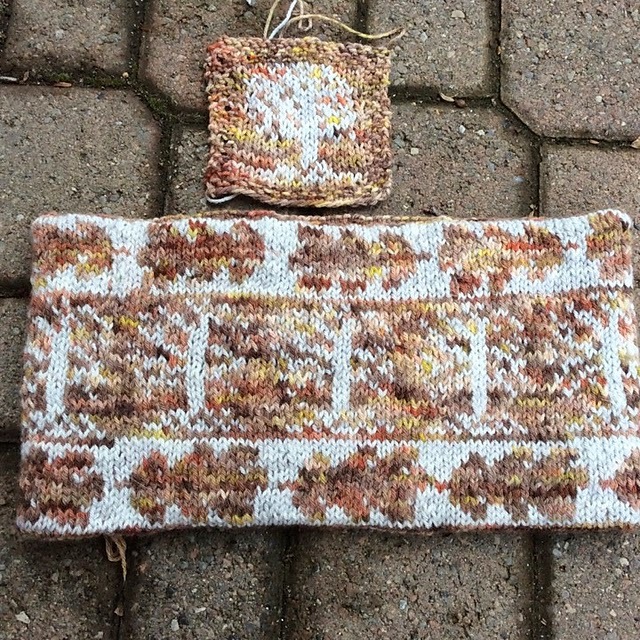 As you can see above, the oak tree is a bit hard to see at first... because of the variegation of the background yarn. 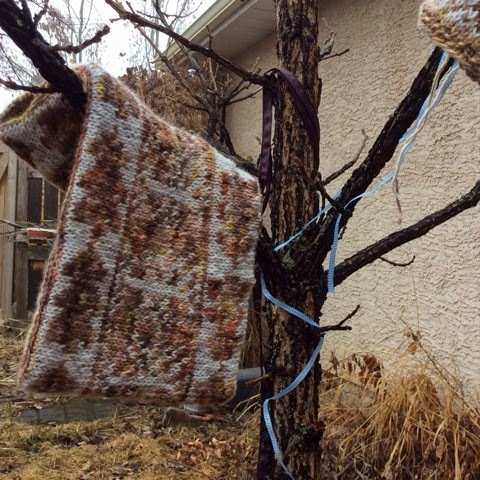 I am going to knit the cowl again, using a different tree shape to see how it works out. It is great fun trying to see just which way works the best. Secondly, the cowl modeled by my inspiration. This is the Burr Oak tree in my back yard. We planted it a while back for Mother's Day. Every once in a while it gets decorated with ribbons and wool. Today it has a cowl. As you can see it is a skinny tree, like the tree in the cowl. :) I am a bit concerned for this tree, as over the winter, it has become a favourite lunch spot for a woodpecker. 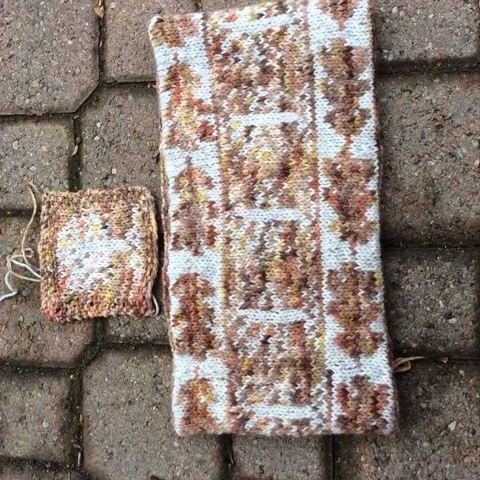 This is a swatch of the 'chubby oak' which I will knit up next. And this is Erin's cat Sid. He doesn't usually look so insane, but, that is how it goes sometimes. It is hard to get the best pictures all the time. LOL. 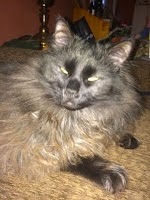 Sid needs a hair cut. He is like fluffy alpaca now.